Most of us like and truly enjoy drinking tea. It can warm you up in a cold winter day and quench your thirst in a hot summer day. It can help you relax and it can help you focus. There are many secrets, legends and mysteries around the history of tea, but what do we commonly know about it? See interesting tea facts below. 2.When did tea came to Europe? A Portugal traveler and sailor Jesuit Father Jasper de Cruz brought tea to Europe from China in the 16th century. By the 18th century tea became the most consumed beverage in Great Britain, replacing gin and ale. In our epoch, numerous health benefits of tea are so well-promoted, that more than 98% of the world’s population drink tea at least once a day. 3. What tea can warm you up and should be consumed in winter? According to the Traditional Chinese Medicine, it is black tea. 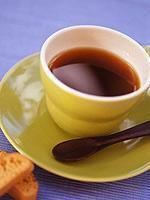 Ancient herbalists were sure that black tea can keep the body warm in better than any other food or beverage. So, drink black tea in winter and keep away from colds! 4. What tea is the most effective for weight management? It is definitely green tea. It is rich in special polyphenols that slow down fat digestion and regulate the levels of glucose in our blood. Also, drinking green tea is connected with reduced food cravings. The specialists from Cleavland University say that those who drink green tea on a regular basis, eat up to 60% less than those people who do not drink this type of tea. 5. What is the best time of the day for drinking tea and how many cups a day can you drink? 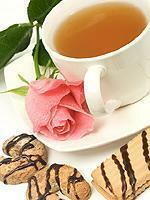 The experts believe that the best time for drinking tea is 1-2 hours after having meal. Do not drink too strong or too hot tea in the morning and on an empty stomach, especially if you have digestion problems. The daily dose of any type of tea is considered to be 4-6 cups. This way you can enjoy all the health benefits of tea and take the most of this divine beverage. « Can BMI Be Effective For Weight Management?